Generally speaking, a wide-angle lens is used for producing panoramic landscapes and shooting in cramped interiors. The super wide-angle amplifies the effect by intensifying perspective and providing greater depth of field.The 28mm lens, not long ago looked upon as the typical "super" wide-angle, is now considered almost a "normal" wide-angle lens. 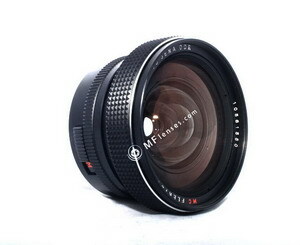 Today, a super wide-angle lens group usually ranges from 15mm to 25mm. For practical applications, the most popular focal lengths are about 20mm.